The inaugural Victory Hour lounge show. In what will be a monthly event with rotating guests, we are joined by co-host European Bureau Chief Egeria from Rome, Lady Noor from British Columbia, Ron Hall from North Carolina and raconteur Keith Johnson from Tennessee. Prepare yourselves for a rollicking journey through the week’s events, forbidden topics, the war in Europe, the defeat of Supremacist Jewry and Keith Johnson on the piano! Neurotoxins in Your Chocolate Milk? This is a time when the public has an opportunity to materially affect how they, the consumers, may protect their own health and that of their offspring for generations to come. In that respect the timer is running down and anyone who consumes milk might want to see what the milk producers have planned. acidified milk, cultured milk, sweetened condensed milk, nonfat dry milk, nonfat dry milk fortified with vitamins A and D, evaporated milk, dry cream, heavy cream, light cream, light whipping cream, sour cream, acidified sour cream, yogurt, low-fat yogurt, and non-fat yogurt. To summarize the corporate petition, the IDFA and NMPF (International Dairy Foods Association and the National Milk Producers Federation) have petitioned the FDA to seek approval to allow optional characterizing flavoring ingredients used in milk (e.g., chocolate flavoring added to milk) to be sweetened with any safe and suitable sweetener–including non-nutritive sweeteners such as aspartame. The proposed amendments to the milk standard of identity would be to promote more healthy eating practices, reduce childhood obesity as well as to promote honesty and fair dealing in the marketplace, so they say. A more likely scenario is that by using aspartame to flavor the dairy products their costs will be lowered and their profits will increase. Without doubt, the petitioners are using childhood obesity as the talking point to sell the idea of using the cheap but toxic aspartame as the sweetener or flavoring in dairy products. While the idea of more healthy eating habits and a reduction in childhood obesity are obviously good ideas, using additional aspartame in the food chain is counter-productive and dangerous. The diets of Americans and their children in particular, are already loaded with the substance. A study was done by the University of Texas Health Science Center at San Antonio which showed adverse health effects to people who consumed aspartame flavored diet drinks. The study suggested that instead of fighting obesity and its associated hazards, the use of aspartame might actually contribute to the conditions. Honesty and fair dealing would necessarily preclude adding even more aspartame to our diets. Right off, that alone is reason enough to question their motives, however, there is more. Professor E. Pretorius, P. Humphries and H. Naudé, reported several disturbing observations concerning aspartame consumption in the European Journal of Clinical Nutrition. Perhaps the longest on-going study on the deleterious effects of aspartame consumption has been that of Woodrow Monte, PhD, Professor Emeritus of Food Science and Nutrition at Arizona State University. His 30-year research has established direct links between aspartame and several diseases, particularly the diseases of civilization such as heart disease, cancer, multiple sclerosis and Alzheimer’s. Dr. Monte’s studies center on the methanol-formaldehyde toxicity paradigm with compelling evidence. In his book, While Science Sleeps, Monte explains how he considers methanol a medical Trojan Horse. Until 200 years ago, methanol was an extremely rare component of the human diet and is still rarely consumed in contemporary hunter and gatherer cultures. With the invention of canning in the 1800s, canned and bottled fruits and vegetables, whose methanol content greatly exceeds that of their fresh counterparts, became far more prevalent. The recent dietary introduction of aspartame, an artificial sweetener 11% methanol by weight, has also greatly increased methanol consumption. Moreover, methanol is a major component of cigarette smoke, known to be a causative agent of many diseases of civilization (DOC). Conversion to formaldehyde in organs other than the liver is the principal means by which methanol may cause disease. The known sites of class I alcohol dehydrogenase (ADH I), the only human enzyme capable of metabolizing methanol to formaldehyde, correspond to the sites of origin for many DOC. Virtually all non-industry research shows that aspartame should never be consumed by humans. If this amendment is passed the mission of the FDA would be compromised and public health will be endangered. A small window of opportunity exists for concerned citizens to exercise a degree of self-defense in dietary matters for themselves and for the health of their children; May 21, 2013, is the last day for public comments on the issue of allowing aspartame to be used in a wide range of diary products. As this piece is being written, there is a little known petition awaiting action at the Food and Drug Administration. The official title is Flavored Milk; Petition to Amend the Standard of Identity for Milk and 17 Additional Dairy Products. It is in the public comment period until May 21, 2013. Waistlines in People, Glucose Levels in Mice Hint at Sweeteners’ Effects: Related Studies Point to the Illusion of the Artificial, Science Daily. European Journal of Clinical Nutrition (2008) 62, 451–462; doi:10.1038/sj.ejcn.1602866; a review, published online 8 August 2007. 745 References, by Woodrow C. Monte, PhD, Professor Emeritus, Food Science and Nutrition, Arizona State University. 13 Mainstream Research Studiesin 24 months showing Aspartame Toxicity, also 3 Relevant Studieson Methanol and Formaldehyde Research, by Rich Murray, MA. Posted in HealthComments Off on Neurotoxins in Your Chocolate Milk? There can be no denying that unprecedented numbers of people, of all ages and creeds, are increasingly frustrated by the governmental and corporate financial machinations which keep them struggling to make ends meet while effectively jeopardizing their long-term potential to secure an adequate and fair standard of living. Obama’s announcement this week of further government cutbacks (in the middle of a job crisis, no less) puts millions of people directly under the wheels of an economic steamroller that is being driven straight across the most vulnerable sectors of society. Global Research has been bringing you a broad spectrum of voices analyzing these situations and we will continue to do so because we believe that access to information is the key to the truth. We encourage you to read as much as possible and discuss widely the issues on the table. Challenge yourselves and challenge each other, and in that way we will come to identify the real limits to our freedom and democracy and thereby determine the course of action that is right for us. It is time to seek out the truth and engage in responsible decision-making. You can help Global Research make information available to the widest possible readership. The Internet is a tool that makes access to information easier than ever and it is our major means of connecting with the world. Likewise, our contributors and correspondents are scattered across the globe in order to report the issues with accuracy and insight. We ask that you consider making a donation to Global Research so that we may continue to support independent analysts in their battle against mainstream media disinformation. You can also browse our Online Store and see the material we have available to give you in-depth understanding on the important issues of globalization facing humanity today. There are also various membership options available with free book offers to thank you for supporting our efforts. Ultimately, we all have our own decisions to make on where we stand politically and economically, and the role our lives will play historically. Global Research gives you some of the important tools to make those decisions based on fact and real understanding. Please support us in these goals. And like Wachovia’s ill-fated $25.5 billion (£16.96bn) buy-out of Golden West Financial/World Savings Bank at the top of the market in 2006, HSBC’s 2002 purchase of Household International and its mortgage unit, Household Finance Corporation for the then princely sum of $15.2 billion (£10.02bn) also proved to be a proverbial deal too far. Evidence suggests that HSBC stepped up money laundering for their cartel clients as the hyperinflated real estate bubble collapsed. Along with other self-styled masters of the universe who were bleeding cash faster than you can say credit default swaps, HSBC posted 2008 projected first quarter losses of “$17.2 billion (£8.7bn) after the decline in the US housing market hit the value of its loans,” BBC News reported. However you slice today’s epidemic of financial corruption, a trend already clear two decades ago when economists George Akerlof and Paul Romer published their seminal paper, Looting: The Economic Underworld of Bankruptcy for Profit, incentives were huge as senior bank executives inflated their balance sheets with “criminal proceeds … likely to have amounted to some 3.6 per cent of GDP (2.3-5.5 per cent) or around US$2.1 trillion in 2009,” according to a 2011 estimate by the United Nations Office on Drugs and Crime (UNODC). Let’s get this sick joke straight: here’s a bank that laundered billions of dollars for Colombian and Mexican drug lords, admittedly amongst the most violent gangsters on earth (120,000 dead Mexicans and counting since 2006) and we’re supposed to take this deal seriously. Seriously? Remember, this an institution whose pretax 2012 profits will exceed $23.5 billion (£15.63bn) when earnings are reported next week and the best the US government can do is extract a promise to “do better”–next time. That deal, a deferred prosecution agreement (DPA) was cobbled together between the outgoing head of the Justice Department’s Criminal Division, Lanny A. Breuer and HSBC, Europe’s largest bank. At the urging of former Treasury Secretary Timothy Geithner, no criminal charges were sought–or brought–against senior bank executives. As if allowing drug-connected money launderers license to pollute one of the world’s largest financial institutions hadn’t already “destabilized” the banking system! From 2006 to 2010, HSBC Bank USA violated the BSA and its implementing regulations. Specifically, HSBC Bank USA ignored the money laundering risks associated with doing business with certain Mexican customers and failed to implement a BSA/AML program that was adequate to monitor suspicious transactions from Mexico. 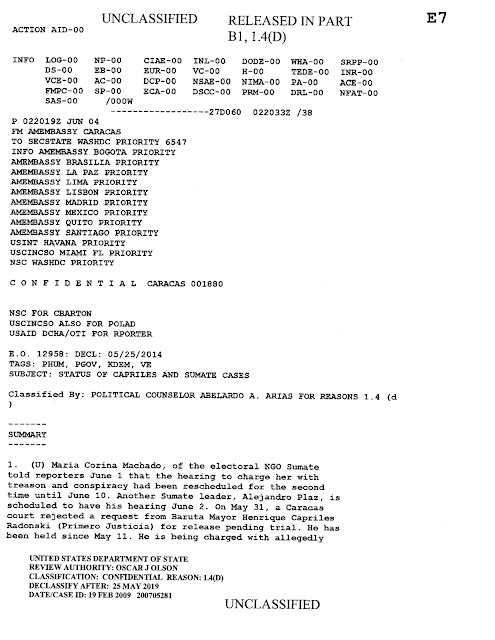 At the same time, Grupo Financiero HSBC, S.A. de C.V. (“HSBC Mexico”), one of HSBC Bank USA’s largest Mexican customers, had its own significant AML problems. 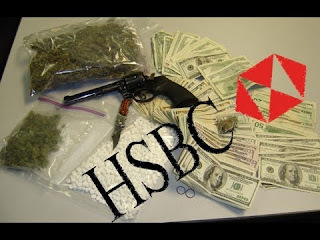 As a result of these concurrent AML failures, at least $881 million in drug trafficking proceeds, including proceeds of drug trafficking by the Sinaloa Cartel in Mexico and the Norte del Valle Cartel in Colombia, were laundered through HSBC Bank USA without being detected. HSBC Group was aware of the significant AML compliance problems at HSBC Mexico, yet did not inform HSBC Bank USA of these problems and their potential impact on HSBC Bank USA’s AML program. Got that? And it wasn’t only plasma TVs, diamond-studded Rolexes or armored-up SUVs that cartel heavies were buying from enterprising businessmen on this side of the border. Add to their list of must-haves: fleets of airplanes and enough weapons to equip an army! How’s that for an incentive! In cobbling together the HSBC deal, the Justice Department ignored Senate testimony by whistleblowers, some of whom were fired or eventually resigned in disgust when higher-ups thwarted their efforts to get a handle on AML “lapses” by the North American branch during a critical period when it was becoming clear that losses in the subprime market would be huge. “After being turned down for additional staff, Carolyn Wind, longtime HBUS Compliance head and AML director, raised the issue of inadequate resources with the HNAH board of directors. A month after the board meeting, after seven years as HBUS’ Compliance head Ms. Wind was fired,” Senate investigators disclosed. In marked contrast to the government’s version, it appears that HBUS had been fully apprised of “cash management” problems three years earlier than claimed in the DPA, yet senior level executives choose to look the other way–so long as the cash keep flowing. Burak’s firing of Wind should have raised eyebrows at the Justice Department. As Regional Legal Department Head for North America, Burak was appointed by the HNAH board to serve as the bank’s Regional Compliance Officer, a move which was even criticized by Bagley, but he was overruled by his Canary Wharf masters. Her appointment as Regional Compliance Officer shouldn’t come as a surprise however, considering that before joining the HSBC team, Burak “was group general counsel, Household International . . . as well as for Household’s federal regulatory coordination and compliance function,” according to a 2004 BusinessWireprofile. And with the bank on the hook for some $70 billion (£46.17bn) and counting in toxic Household International mortgage liabilities, her choice by London to supervise AML operations was a slam dunk. If one were a “conspiracy buff” one might even argue this was precisely as intended. a. Failure to obtain or maintain due diligence or KYC information on HSBC Group Affiliates, including HSBC Mexico; b. Failure to adequately monitor over $200 trillion [£126.9tn] in wire transfers between 2006 and 2009 from customers located in countries that HSBC Bank USA classified as “standard” or “medium” risk, including over $670 billion [£425.1bn] in wire transfers from HSBC Mexico; c. Failure to adequately monitor billions of dollars in purchases of physical US dollars (“banknotes”) between July 2006 and July 2009 from HSBC Group Affiliates, including over $9.4 billion [£5.96bn] from HSBC Mexico; and d. Failure to provide adequate staffing and other resources to maintain an effective AML program. Well, if the Justice Department lacked “metrics” as to whether or not their agreements with corporate criminals act as a deterrent to future crimes, were there other considerations behind the sweetheart deals forged between the Criminal Division, HSBC and other banks? Tom Burghardt is a researcher and activist based in the San Francisco Bay Area. In addition to publishing inCovert Action Quarterly and Global Research, an independent research and media group of writers, scholars, journalists and activists based in Montreal, he is a Contributing Editor with Cyrano’s Journal Today. His articles can be read on Dissident Voice, Pacific Free Press, Uncommon Thought Journal, and the whistleblowing website WikiLeaks. He is the editor of Police State America: U.S. Military “Civil Disturbance” Planning, distributed by AK Press and has contributed to the new book from Global Research,The Global Economic Crisis: The Great Depression of the XXI Century. 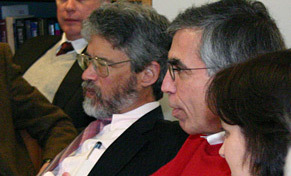 All three co-founders are US educated – Radonski having attended New York’s Columbia University (Spanish), Julio Borges attending Boston College and Oxford (Spanish), and Leopoldo Lopez who attended the Harvard Kennedy School of Government (KSG), of which he is considered an alumni of (and here). 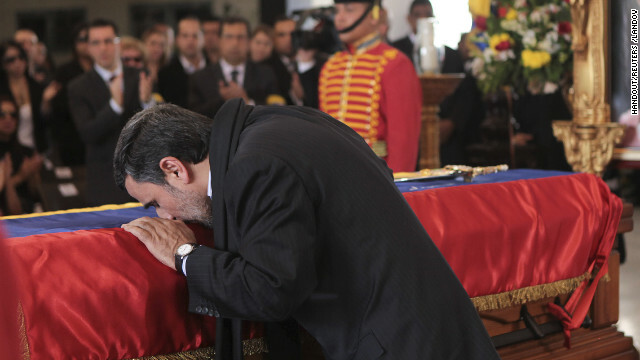 The fate of Venezuela lies in its people’s hands. Covert destabilization must be faced by the Venezuelan people, while the alternative media must do its best to unravel the lies already being spun ahead of long-planned operations in “post-Chavez Venezuela.” For the rest of us, we must identify the corporate-financier interests driving this agenda, – interests we most likely patronize on a daily basis, and both boycott and permanently replace them to erode the unwarranted influence they have used, and will continue to use against the Venezuelan people, as well as people across the globe. Teens arrested and subsequently released after promising to explain to local students why such behavior is wrong; two other teens turn themselves over to Jerusalem police over attack on Arab woman and her Jewish friend. Three Upper Nazareth teenagers were arrested on Saturday night for harassing an Arab woman, spitting at her and telling at her to leave the neighborhood. The woman lodged a complaint with police after the incident occurred on Friday evening, and the three 14-year-old boys were located and detained within 24 hours. The three confessed to harassing the woman and apologized for their actions. They were released after promising to fulfill community police service by going to schools and explaining to local students why such actions were wrong. Ahmed Issa, the husband of the woman who was attacked, said that his wife and 27-year-old daughter were walking on Friday at about 5:30 P.M. near a building belonging the Chabad Jewish outreach movement when a group of young people spat and swore at them. “After those incidents, our neighbors came to our support,” he said. “We have a lot of friends and outstanding relations with our neighbors. Unfortunately there are children who have been dragged into racism. It’s not their fault, but rather the fault of those who pushed them into it.” Issa said he and his family are not afraid that they would get hurt. Meanwhile, two teenagers turned themselves into the Jerusalem Police overnight after confessing to involvement in a hate crime against an Arab woman and her Jewish friend in the capital last week. The Jerusalem Magistrate’s Court on Friday refused to extend the remand of another teen suspect who allegedly cursed and threatened the two women in a violent incident that also resulted in damage to a car. The 16-year-old was released to house arrest on NIS 3,000 bond. The youth, who lives in the center of the country but attends a Jerusalem high school, was arrested Wednesday over the attack on Wahad Abu-Zamira, a resident of Kalansua, and Revital Valkov of Herzliya, both teachers at a Ramat Hasharon junior high school. The two had come to pay a condolence call on the school’s principal, who was sitting shiva in the mostly religious Jerusalem neighborhood of Kiryat Moshe, in an apartment situated near two yeshivas. As they parked and walked toward the apartment, several religious teenagers on the street noticed the hijab Abu-Zamira was wearing. According to the women, 11 of them began to curse, spit, and throw objects at them. One of the objects smashed the car’s back windshield. Valkov said the security guard at a yeshiva on the street did not respond to their pleas for help. At first they tried to seek refuge back in the car, but eventually they ran into the shiva house. After the two finished their visit, several other teachers took Abu-Zamira back with them to the center of the country, but Valkov drove off in her damaged car alone. At a corner on her way out of the city, two youths swooped toward her car and slashed her tires − an act, she said, that could not have been spontaneous, but was clearly planned. This was the latest in a series of apparent hate crimes committed against Israeli Arabs all over the country; in Jerusalem in particular there have been several such incidents, including racist graffiti. Early last week, on Purim, three teenage girls allegedly attacked an Arab woman at the Kiryat Moshe stop of the city’s light rail. The girls claimed the Arab woman had pushed them first.